Size of this preview: 742 × 600 pixels. Other resolutions: 297 × 240 pixels | 1,336 × 1,080 pixels. 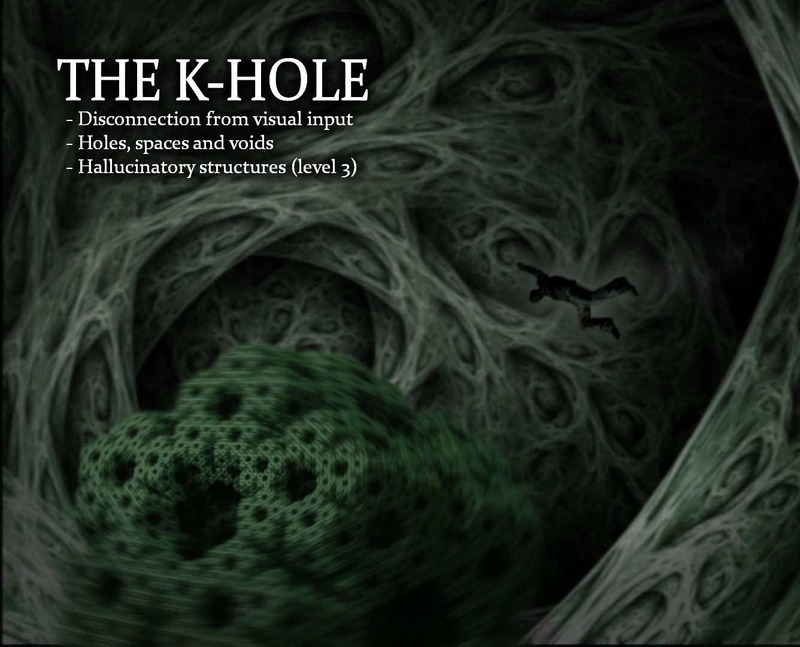 The K-Hole by Josikins - This image serves as an artistic replication of the common and simultaneous dissociative induced effects known as disconnection from visual input, holes, spaces and voids and hallucinatory structures.